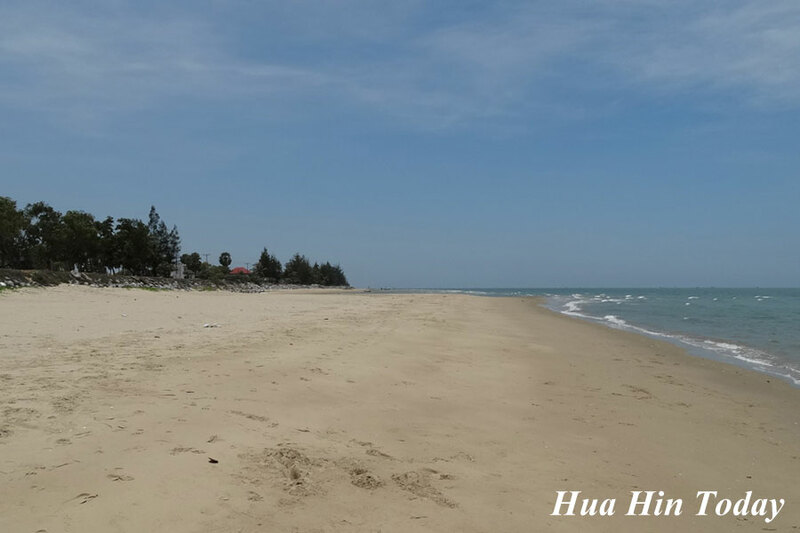 Located at about 200 km from Bangkok, Cha Am beach is twinned with Hua Hin of Phrachuap Khiri Khan, and is a well known and popular destination with a long, beautiful beach that draws both Thai and Western tourists. The beach hugs a pleasant pine tree lined road and stretches for miles in both directions. Due to its length, the beach is rarely crowded and offers plenty of room for everyone. There are a few areas where tourists congregate but anyone who wants solitude can find it easily. The sand is fine and the abundant pine trees provide some welcome shade, so the beach is naturally popular with Thais but a few foreigners can also be found soaking up the sun. There are a number of resort, hotels and restaurants dotted about the 3 kilometers long beach and it?s easy to pick up a place to rest in a deckchair under a bright color umbrella.